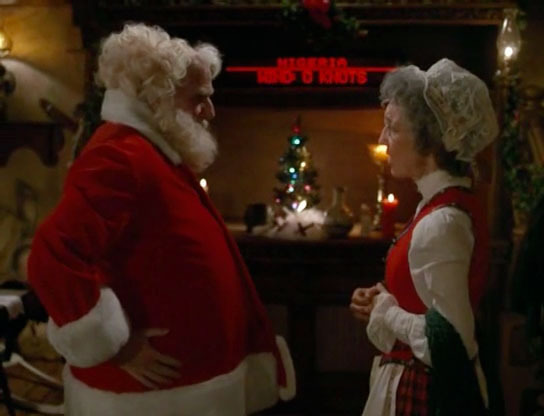 Before leaving the North Pole Mrs Claus tells Santa that the world has changed and allot of people are less likely to be welcoming to him and is he sure he wants to go. 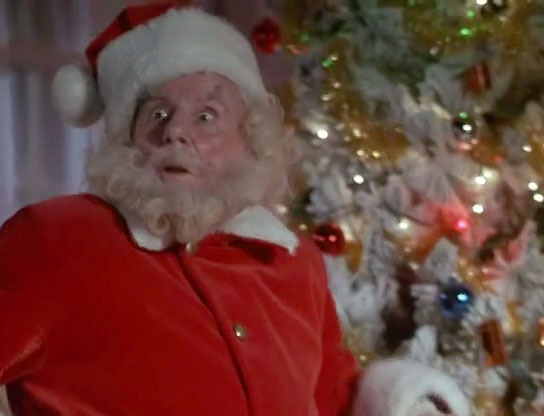 Upon entering one of the houses the chimney is blocked and so he enters through a window that is alarmed. Being startled he runs outside where the police are waiting for him. "Mom, I think you should let him go"
He of course sees Santa's sleigh and his reindeer he sneaks out of the house to go see Santa. 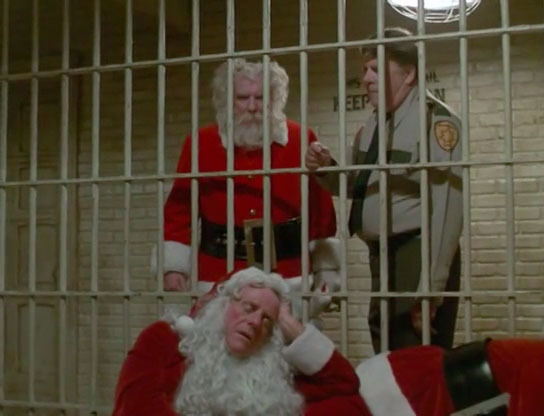 Santa is booked in the jail and upon entering the cell is told by the Sheriff that if he really was the REAL Santa why didn't he get his favorite gun when he was a child.Santa said even he makes mistakes, the Sheriff then pushes him in and Santa joins all the local drunks who weren't so good themselves. 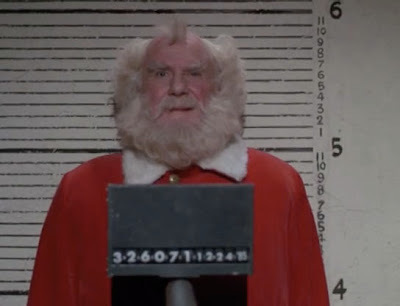 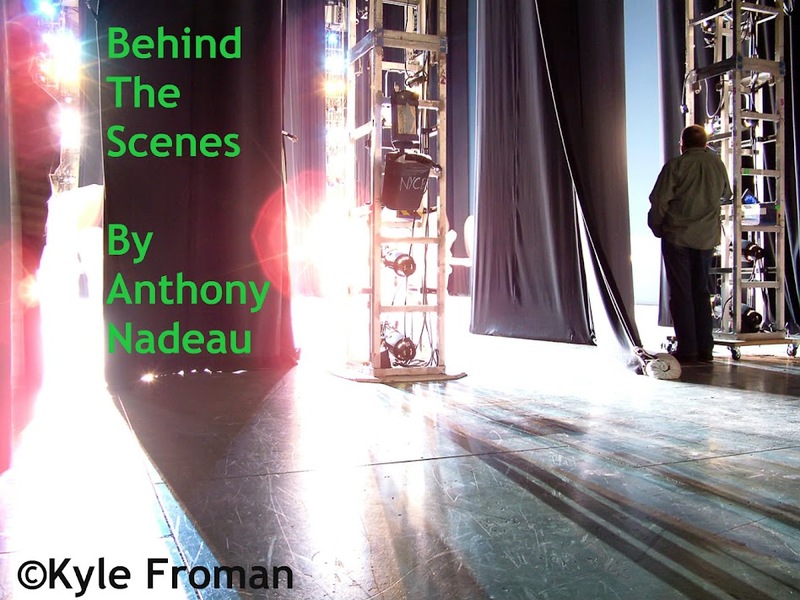 The young boy arrives at the jail with Santa's reindeer and they break him free. 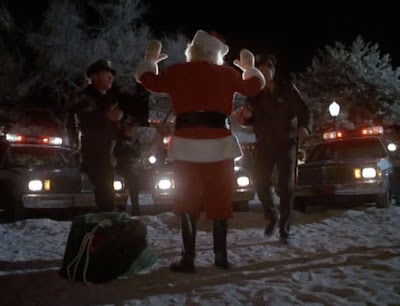 Upon leaving the area Santa makes a turn and drops a present over the arresting officer. 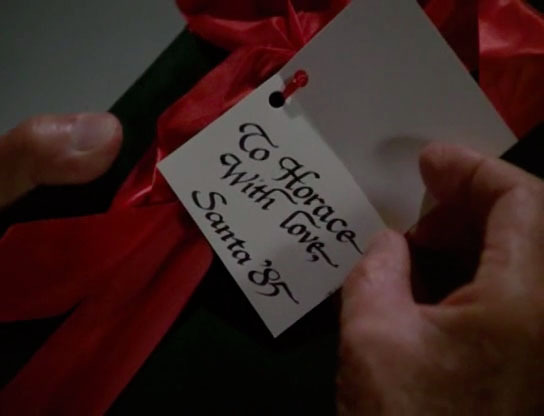 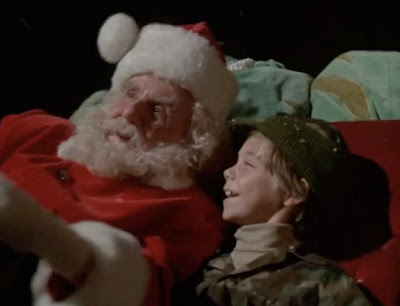 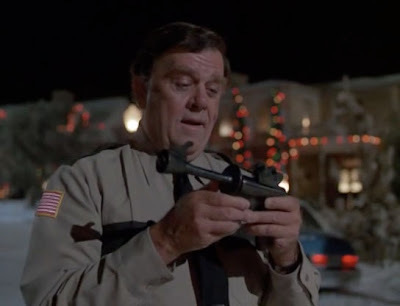 Santa gives the Sheriff the gun that he never got when he was a child.A Buck Rogers Space gun. 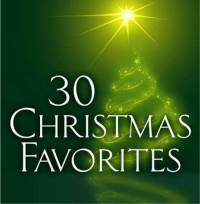 He watches Santa leave and joins some Carollers in some Festive songs.